The stage and TV veteran had not been ill and had been due to begin filming an episode of ITV's Midsomer Murders next week, according to his agent. Born in Edinburgh in 1934, he was an honorary associate artist of the Royal Shakespeare Company. He recently appeared in the BBC's Bleak House and Sky One's Hogfather. Famous for his sonorous voice and stern demeanour, he was made a CBE in 1989. Richardson won a Bafta award for his role as the Machiavellian Urquhart in 1990's House of Cards. He went on to be nominated for both its sequels, To Play the King and The Final Cut, as well as the 1992 drama An Ungentlemanly Act. Other TV roles included Sherlock Holmes, Lord Groan in Gormenghast, Sir Godber Evans in Porterhouse Blue and the 'Tailor' in Tinker, Tailor, Soldier, Spy. His many films included Terry Gilliam's Brazil and Jane Austen biopic Becoming Jane, due for release next month. But it is for the deliciously devious Urquhart - a character he based on Richard III - that he remains best known. 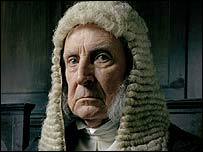 The Tory politician's famous one-liner - "You may very well think that; I couldn't possibly comment" - has since passed into Westminster parlance. "I'm grateful for the part as it put me on the map," he said in 2005. "The only trouble is getting rid of it. So many people seem to think that I am like him." Richardson died in his sleep at his London home in the early hours of Friday morning. He is survived by his wife, Maroussia, and two sons. Author Michael Dobbs, who wrote the novel on which House of Cards was based, described him as "a superb actor" who was "very careful not to let the fame get in the way of his personal integrity". House of Cards director Paul Seed said: "I cast him in House of Cards because of his comic talent and he was utterly brilliant. He was the most sophisticated craftsman comic actor in this country." He added: "I just loved working with him and am hugely in admiration at the talent and technique that he had. His passing is the end of a generation of that kind of actor." What are your memories of Ian Richardson? Did you know him or work with him? I met Ian when he was filming the film "Savage Play" in Scotland near Stirling and I was an extra. He was the perfect gentleman talking to everyone involved and keeping us amused in the cold weather with anecdotes. A gentleman and a fine actor. A fantastic actor, one of the best. 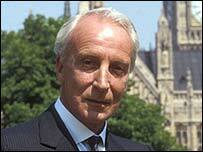 Will always be remembered for being Francis Urquhart but was nothing like the evil PM. I saw a trailer for his new Jane Austen film only last night - he was still in the game. A great actor and a man with great dignity. From the 'old school'. What happened to his knighthood? Others in entertainment have received the honour for less. Those wonderful mellifluous tones used to great effect in the Francis Urquhart series are what I will remember him for. The suggestion of mischief in the eyes. The intensely complex traitor in John Le Carré's Tinker Tailor, Soldier Spy - every bit a match for Alec Guinness's superb Smiley. Perhaps the greatest tribute to him as an actor that I can pay is this: I have absolutely no sense of what he was like as a person, so complete was his portrayal in his various roles. Thank you, Mr Richardson, for many years of pleasure. Very sad news, he was a great actor who always lifted any production he appeared in, will be greatly missed. Truly one of the greats, who never gave a performance that was anything less than electrifying. He'll be greatly missed. Richardson could out-act his co-stars with the merest nudge of an eyebrow. He will be missed. RIP.